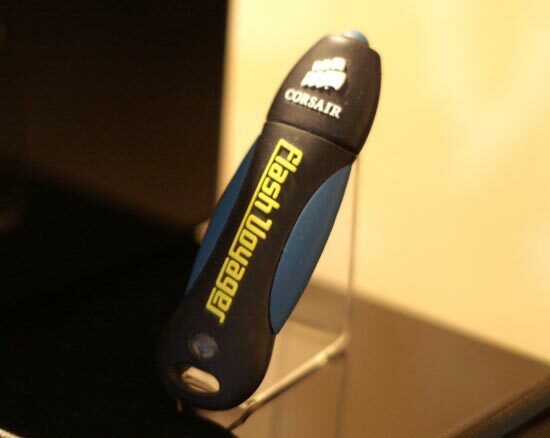 Our first meeting of the show was actually not with a CE company at all, rather a PC memory company: Corsair. Our discussion with Corsair would prove to be something of a trend for this year’s CES, as it centered around Windows Vista and its impact on the PC market in general. Out of all of the manufacturers that will be affected by Vista and its hardware requirements, it is the memory manufacturers that stand to benefit the most. 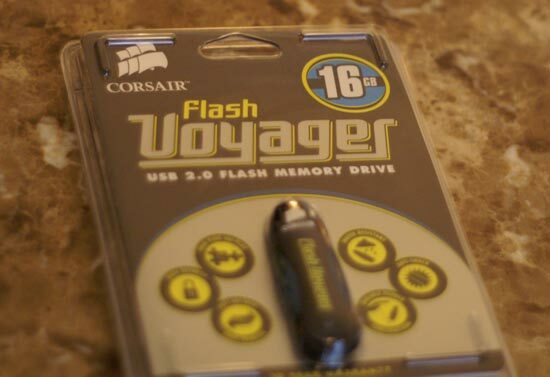 Vista needs more system memory, can benefit from Ready Boost enabled USB flash drives, supports Hybrid drives and Intel’s on-motherboard flash technology (Robson). While CPU and GPU requirements are greater with Vista, given that you can get premium certification with Intel’s integrated graphics, the requirements aren’t all that high. What Vista will do, more than anything, is help sell more memory - whether it is in the form of DDR2 or flash devices. 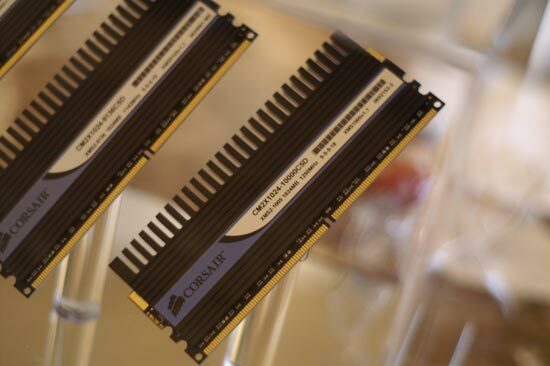 Corsair had its Dominator line of memory on display, including its recently announced PC10000 offering. 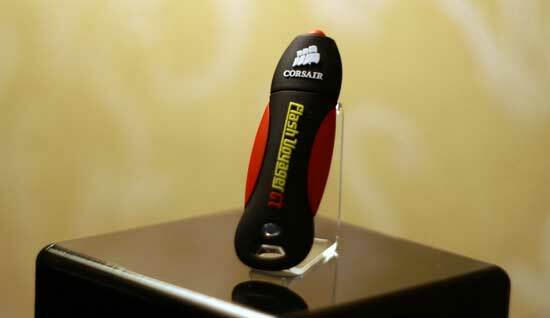 But it wasn’t DDR2 that was the most interesting at Corsair’s suite, rather Corsair’s Flash memory lineup. In the future, all SLC flash based devices will have the “GT” suffix while MLC devices won’t. The idea is that MLC devices are significantly slower than their SLC counterparts, which is the tradeoff you make when getting twice the storage capacity thanks to being able to store multiple bits per cell. This waterproof drive takes rugged to a new level and feels like it would be at home sitting in a Hummer. 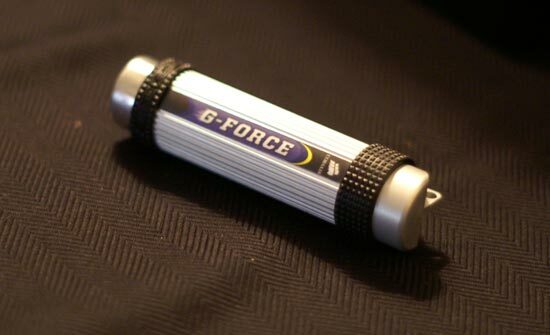 The G-Force is by no means small, but it actually feels right in your hands and if you’re prone to dropping/breaking things it’s not a bad option. 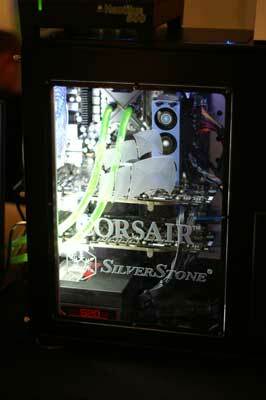 At the show Corsair only had a prototype, but the final version will be available in a matter of weeks. 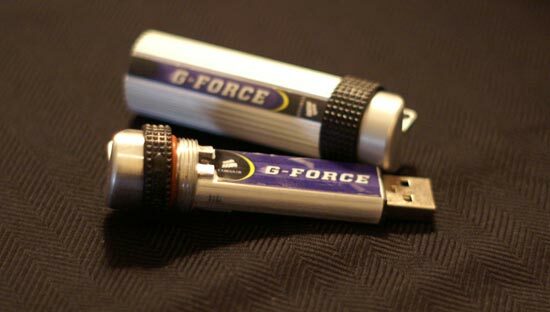 Corsair is convinced that NVIDIA won’t be upset by the naming of the product, as there’s no “e” in its G-Force USB drive. Speaking of NVIDIA, Corsair was also proudly showing off its 620W power supply running a pair of GeForce 8800 GTXs, bringing to light the fact that you don’t need an 800W+ PSU to run NVIDIA’s highest end configuration, you just need an efficient PSU. I'm getting offers in the ads from companies who claim to offer "free" stuff provided you join a lot of trial offers and buy a bunch of stuff and sucker your friends into joining, also. Does Anandtech approve of these ads? Don't say you have no control over them, because you do. You can complain to your provider, IndustryBrains, or switch if they continue to show these things. Performance of a game with PhysX enabled must not be lower than with it disabled - you should no longer have the problem of better physics but lower performance. This is a big step forward for Ageia, as it is difficult to justify spending money on getting better physics if you end up reducing overall game performance as a trade off. why is that such an issue? what is performance? some numbers you couldn't care less when playing assuming the fps stay above a certain number. you expect performance to drop when enabling other eye candy, but when it comes to realism everyone seems to complain. Physics doesn't necessarily have to mean that more polygons are pushed to the screen (such as when things go boom). When this happens, then it taxes the video card more and has a subsequent impact on performance. I think this relationship is understood and accepted. However, if the physics don't add more polygons but instead cause objects to interact more realistically then we're at the spot where we don't want overall performance to slow down. This is where Ageia needs to flex their strength and not disappoint their audience. The unit itself is extremely light and honestly is one of the first devices of this type that we could actually see being a reasonable replacement to carrying around tons of books. While the demonstration centered around reading novels, what we’d really like to see is this technology used to store textbooks for schools. Rather than having to carry around multiple books each composed of hundreds of pages, a single e-Ink based Reader like this would be a much better experience. 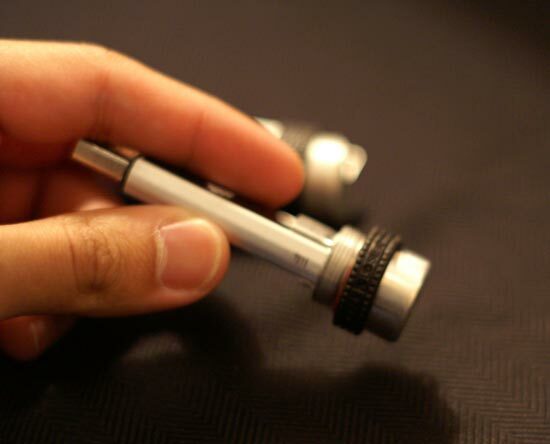 It would be, if you can make sure this product is extremely difficult to damage. I've seen way too many students that don't care how they treat something a school gives them --after all, it's (in their minds) not like they bought and paid for it with their own money (the concept that their parents' taxes did is irrelevant in their minds in those cases).